After a near miss collision with another Ford T Model in last year's National Tour, we decided to put directional and stoplights on our 1924 Coupe. My son, who now has a drivers license, will be driving this year, and we would rather err to the side of safety than of originality. We opted to use one of the new double pigtail taillights available thru Don Lang. Even though our old single contact rear light was functional, I didn't want to destroy it changing a pigtail socket out. Well, the taillight came and was stamped steel. Sand and prime, then a shot of black paint was the order of the day. 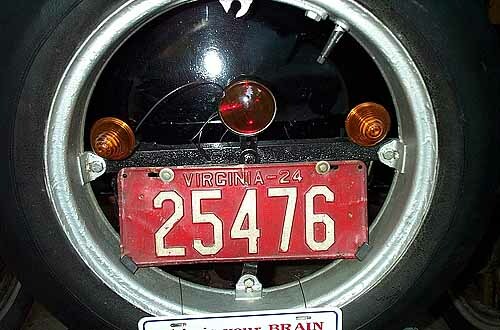 There is a spring ring that keeps the taillight lens attached, and a small piece of clear acetate for the license plate illumination. They are taken apart effortlessly. Next came the job of setting the stoplight switch up. 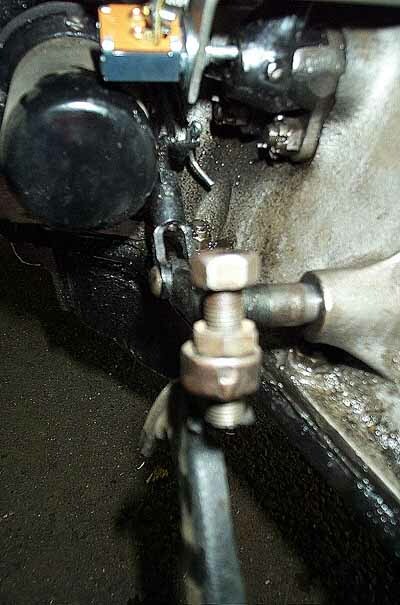 We chose one of the new switches (Figure 1) that bolt to the inspection door of the transmission. It is a piece of flat stock, bent 90 degrees on one end, with 3 holes (2 for inspection plate door screws, and one for the switch). Following instructions, we set the switch (a plunger switch that depresses as the brake pedal is pushed down - pedal moves to the left pushing the plunger in) so it barely touched the brake pedal. Washers are included so the switch can be shimmed to the correct location. We then took a multi-meter and set it for continuity check (When the negative and positive probes make contact, a buzzer buzzes). Touching the two prongs to the switch contacts, it made no sound. My son, AJ, depressed the brake pedal, and it buzzed. At this point, we are ready for the wiring. Since I already had a single wiring running from the wiring harness to the original taillight, I added a female connector to one wire (doesn't matter which one) of the new taillight. I connected the male connector of the single taillight wire to one wire of the double contact taillight. I then ran another wire (after adding male and female connectors) from the second wire of the double contact taillight to one side of the switch. 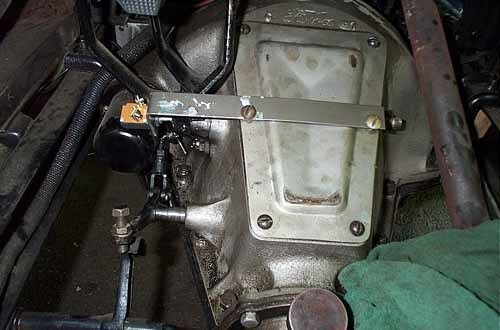 I put on an eyelet at the other end of the wire so it would attach to the screw of the brakelight switch. I took a second piece of wire, and after putting on another eyelet, attached it to the second brakelight switch contact screw. I threaded the other end of the wire through the wiring loom hole in the firewall. I then took that free end of the second wire, added an open slide-on screw connector, and affixed that to the number 3 (#3) position on the firewall wiring block. Number three is the third from the passenger side (yellow battery wire). This way, there would always be power to the brake light, even if the light were turned off. All in All, costs were $40 for the taillight, $1.99 for bulbs (**NOTE - the taillight doesn't come with bulbs), $5.00 for wire (Lowe's - did directionals and brakelight), and $13.00 for the switch. All items were bolt on, with exception of the wire connectors. They are essential for a trouble-free setup. Another **NOTE** You need to purchase double contact bulbs with dual filaments for the taillight. The pins were staggered vice straight, so I filed one pin off. I got mine at PEPBoys. Figure 4 shows a completed installation. Now I can trim the wires and put on proper connectors.